To meet the diverse needs of working parents and to keep your children meaningfully engaged under the care and guidance of our dedicated teachers, Chatsworth Preschool has secured approval from the Early Childhood Development Agency (ECDA) to be a preschool centre. 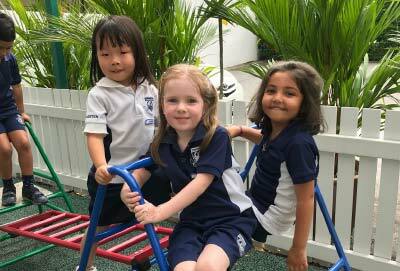 Chatsworth Bedok Campus will continue to offer a strong holistic curriculum for children aged 2 to 6 years for a half day or full day programme. Children are able to learn, play and express themselves in a safe and nurturing environment with their nutritional and dietary needs carefully planned. With a small teacher-student ratio, our caring and knowledgeable teaching professionals will instill the love for learning in our children and equip them with the skills to progress in their educational journey. The core programme starts from 8.30am and ends at 1pm for half day and 5.30pm for full day. The school opens from 7am onwards for early drop off and closes at 7pm for pick-up after work. Places in our new preschool programme are limited and services are only available at Chatsworth Bedok Campus. We strive to provide the best service for the children under our care.